Invisalign braces and aligners - What are they? Invisalign braces have been the hottest commodity in the dental marketplace for some time now. For those who do not know what Invisalign braces are, they are clear, retainer-like braces which are “invisible” and less noticeable compared to conventional metal braces. First, a quick introduction: There are two main types of orthodontic appliances - fixed and removable. Traditional, metal braces are considered fixed appliances as they can only be placed and removed by a dentist. Invisalign falls under removable orthodontic appliance, under Clear Aligner Therapy (CAT). There are a few different brands of CAT available, but the most commercialised and recognised one is Invisalign. No ugly, metal braces. As the name suggests, it offers an ‘invisible’ way to align your teeth. This is by far its biggest selling point. Metal braces have a reputation for being unsightly and uncomfortable. After all, who wants to walk around for years with wires and metal in their mouth? Yup, no one. Talk to anyone who has had metal braces and they will tell you that eating is a complete, utter nightmare. I’ve had a friend who actually broke her metal braces while eating a crab. In addition, food gets trapped everywhere, caught in jungle of wires, mesh and brackets. You will have restrictions on what you can eat, and that probably means no sticky and sweet foods as they will be impossible to clean out. And what types of foods are sticky and sweet? Unlike traditional metal braces which are placed by and can be only removed by your dentist, you can remove your aligners whenever you want to. At a party or going for that first date? You no longer have to feel conscious of how you look. Just remove them and pop them back on once you are done. Of course, you are strongly encouraged to keep the Invisalign aligners on throughout the day, but that element of freedom appeals to many people. As mentioned earlier, brushing and flossing your teeth when you have metal braces is a big hassle. Wires and brackets tend to trap dirt and food and you have to be diligent with your cleaning, or else tooth decay happens very quickly. With Invisalign? Just remove them and brush your teeth like normal. Easy peasy. You will be given a set of different aligners and specific instructions on how long to wear them and when you have to change to a different aligner. This means less visits to the dentist, unlike metal braces, where you had to visit relatively frequently to get your braces adjusted or tightened. For working adults, this is a welcome benefit as you will not have to waste as much time visiting the dentist. With all the advantages of Invisalign that I have laid out, it does seem like the perfect substitute for traditional braces. People who have wanted straighter teeth for years but have been put off by traditional braces will probably be tempted to finally get treatment done. While the advantages of Invisalign are obvious, there is, of course, a flip side to everything. So before you rush off to make an appointment with your dentist, here are some of its limitations. This is by and far the biggest limitation of Invisalign. It cannot be used to treat every case. It is generally not used in the treatment of severely misaligned teeth. While costs for Invisalign have been declining over the years, it is still considerably more expensive than traditional braces. Few studies have been done on itFor a new drug or medicine to be released to the public, it has to undergo years and years of studies and strict testing before it can be released to the market. By then, its advantages and disadvantages will be well known. Invisalign does not have such stringent requirements, and as such, they have been few evidence based scientific studies done. As such, certain side effects and disadvantages may not be apparent until many years from now. A mould of your teeth is taken. It is then sent to a laboratory, where a computer generates a 3D image of your teeth from this mould. From there, your dentist and the technician will work out what the final alignment of your teeth should look like. Teeth can only be moved slowly. 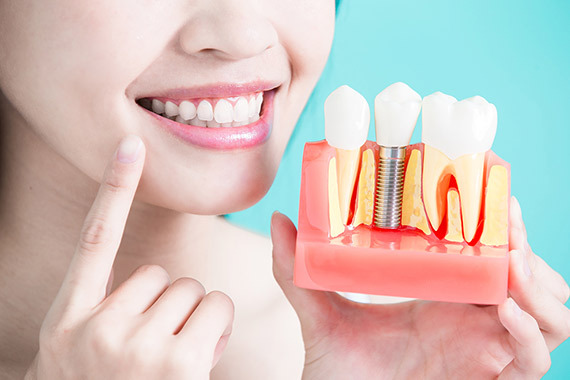 As such, treatment will be done sequentially, through multiple steps, until your teeth finally reach the desired alignment. How are your teeth moved? By using aligners, which are the transparent plastic things you place over your teeth. You will be issued with a multiple sets of aligners (usually 20 to 30). Each set of aligner is different from the others. Each aligner slowly moves your teeth to the desired end alignment. You will be given instructions as to how long to wear the aligners, and how long before you should switch to the next aligner (usually 2 weeks). As you progress through the different aligners, your teeth will slowly shift and you should end up with the desired teeth alignment after all the aligners have been used up. It depends on how complex your case is. The more misaligned your teeth is, the more your teeth will have to be moved. This means that it will take longer for your treatment to be completed. The average time taken for treatment completion is usually 1- 1.5 years. The estimated cost for Invisalign treatment in Singapore is between $6000 - $10000. This is compared to an average of $3000 - $6000 for conventional braces. Like conventional braces, most clinics will allow you to pay in installments. During the first visit, your dentist will do a thorough examination and take the relevant X-rays before discussing your case. Don’t be afraid to ask questions! High tech, 3D computer tomography and imagery is used. And as with any new technology, this costs money. A considerable chunk of the fee that you pay goes to the laboratories with these high tech equipment. During the course of your treatment, you will still have to visit your dentist for regular reviews and to evaluate if the treatment is going accordingly to plan. The fee you pay usually also covers these multiple review and consultation visits. That explains why Invisalign costs more than standard, metal braces. Do I have to wear my aligners 24/7 ?As a rule of thumb: unless you are eating or brushing your teeth, you will have to wear your aligners. Most dentists advocate wearing them for at least 20-22 hours a day. Each aligner is worn for approximately 2 weeks before moving on to the next one. Consistent wearing of your aligners is necessary to ensure accurate movement of your teeth, and also to prevent your teeth from going back to its original position. If you do not listen to instructions and do not wear your aligners, this will affect the treatment duration. Sometimes, it may be serious enough to warrant a change of an entire set of aligners - thus costing you money and time. So, you will have to listen to your dentist and be disciplined with the treatment. With everyone jumping on the Invisalign bandwagon, you might be forgiven for thinking that it is a totally pain free experience. For your teeth to be moved, constant force and pressure needs to be applied to them - and this will not be comfortable. The aligners you wear will initially feel tight and ill-fitting. Over the next 2 weeks, as your teeth gradually move to fit the shape of these aligners, you will eventually start to feel better. That relief will be relatively short lived, though, as this whole process repeats itself when you move on to your next set of aligners. Can I get it done at a general dentist or do I have to go to a specialist? A dentist who specialises in braces is called an Orthodontist. Orthodontists undergo 3-4 additional years of education (comparable to a Masters degree) where they are trained extensively in braces. The government however does not restrict the practice of orthodontics to only orthodontists. This means that a general dentist can also offer braces treatment. General dentists undergo 4 years of training (in Singapore). The curriculum covers certain aspects of braces treatment. Most general dentists who offer Invisalign treatment will also have attended additional courses after graduation. Thus, some older general dentists may actually have a lot of experience in Invisalign, especially if they have done many cases before. A general rule of thumb is that complex cases should be handled by an orthodontist. If you have a general dentist that you visit regularly, he or she can tell you if they are able to treat your case. If your case is too complex or difficult, they may then refer you to an orthodontist. Of course, the final decision rests with you. The dentist-patient relationship is an important one, so do find a dentist that you are comfortable with. What happens after I have completed treatment? Like all things in the universe which tend towards chaos, so does your teeth, unfortunately. After treatment, it will not want to stay in its nice alignment if it is not forced to. As such, you will have to wear retainers to prevent your teeth from reverting back to its original positions. I hope that this has been a concise yet informative post for those who are thinking of getting Invisalign treatment. If you want more content like this, comment and let me know! Type in your email here to get exclusive content not available on this blog. And as always, remember to send me any questions that you might have. Need Help Finding the Right Invisalign Specialist? Let us help you!